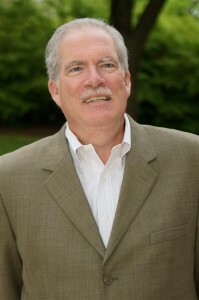 John McGlade is the Chairman, President and CEO of the global gases and chemicals company, Air Products. Previously, he was named the CEO Champion of the Year by SkillsUSA for his leadership in supporting Americaâ€™s highly-skilled workforce and promoting Career Technical Education. John also serves on the Board of Directors of the American Chemistry Council and the Executive Committee of the Council on Competitiveness. Growing up in Bethlehem, Pennsylvania, I spent a good amount of my formative high school years at my local Career Technical Education (CTE) â€“ then called vocational education — school. Now, as president and CEO of a global company, I can testify first hand to how CTE can help equip students with the skills and knowledge to succeed in their careers. Moreover, CTE has since evolved, proving to be as dynamic and innovative as the economy for which it is preparing students. In fact, I believe that CTE can be a source of competitive advantage for the United States, by rebuilding a skilled workforce better trained than ever to compete in the global marketplace. We know that more scientists and engineers are needed to support the United States economy, but a broader look must be given to the overall demand for skilled workers. Skilled, technical positions will represent the largest number of total openings in the United States in the next five years. Almost 10 million new, skilled workers will be needed by 2020, according to the Federal Bureau of Labor Statistics. Air Products employs about 7,500 people in the United States. Over 50 percent of those people are skilled workers, including plant operators, drivers, mechanics and maintenance techs. We hire approximately 550 new employees in the United States each year and around 90 percent require technical skills. There is a mismatch between the demand and supply of skilled workers. Work opportunities exist, but sometimes it is difficult to find people to fill those jobs.Â Air Products has openings, but we canâ€™t always find people with the right skills in the right locations.Â This situation contributes to the national unemployment rate of over 8 percent. Filling the skills gap will require higher expectations and greater investment in education and job training. Technology continues to evolve at a rapid pace. We need technicians that are not just mechanically trained, but who can operate electronic control systems and sophisticated, predictive maintenance technologies. That means government must provide more support for CTE, directing additional funding so that schools, community colleges and technical schools can continue their great work and strengthen and expand quality CTE programs. I cannot stress enough the importance of CTE to the U.S. economy. Not only do CTE programs help the new generation of workers with developing technical skills, they create well-rounded employees with 21st century employability skills — problem-solving, teamwork and leadership — to help them grow and succeed throughout the lifetime of their entire career. Industries are eager to collaborate with schools and colleges that help foster the workforce of our next generation. We realize that we must develop strategic partnerships between industry and education to bring the best thinking and most current learning experiences to schools and colleges. In doing so, we can create future career opportunities for millions of Americans. 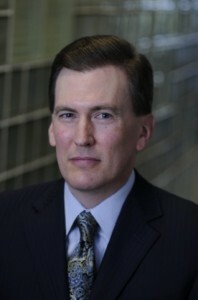 Todd Thibodeaux isÂ CompTIA president and CEO. Is todayâ€™s education system failing our children? Not necessarily. The problem may be that too many people are limiting the boundaries of what makes up our education system. Think about it. A lot of folks with a stake in the matter are doing just that and results indicate the traditional college route isnâ€™t cutting it when it comes to career opportunities for young people. More states, school districts, government leaders and students themselves are demanding improved preparation in career readiness in the form of industry certifications and Career Technical Education (CTE) programs. A student who graduates with a high school degree and an industry certification has the opportunity to garner a well-paying position while pursuing an education to continue up the ladder on a career path. In the past decade, language within the Carl D. Perkins Career and Technical Education Act focused on the inclusion of industry certifications as a measure of what must be attained to enter many industries and careers has increased dramatically. Just as CompTIA certifications come in the form of high-stakes exams, government programs must quantify success or lack thereof to determine individual student achievements and program viability. More and more employers not only are recommending, but requiring attainment of those credentials. Studies have shown that student graduates of CTE programs have a higher grade-point-average and a higher rate of graduation than their peers in high school. In a form of unprecedented joint commitment from U.S. government agencies this April, the Departments of Education, Health and Human Services, and Labor promoted the use of career pathways as a â€œpromising strategyâ€ to help adults earn marketable skills and industry-recognized credentials toward employment. Career pathways such as CTE are to be a chief focus of integrated federal and state funding streams to advance higher levels of future education and better aligned training and employment. Lest we forget Harvard Universityâ€™s Pathways to Prosperity Project which balanced its illustration of an education system that has failed to engage students with a solution that has a strong emphasis on CTE? All in all, actions within our academic, government and technical communities continue to align in favor of CTE programs as a valued method of preparing students to step foot in the workplace and succeed. Todayâ€™s education system is not a failure. The boundaries of that traditional system just need to be expanded. 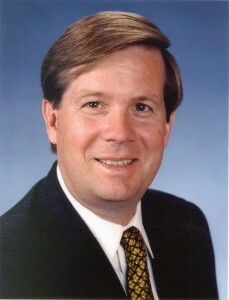 Jim Lentz is Â President & CEO ofÂ Toyota Motor Sales USA. Whatâ€™s your edge?Â Whatâ€™s going to separate you from others?Â Plain and simple, one of the best ways to stand out is to get great hands-on training and education — everything that Career Technical Education provides. In this fast-paced world where immediate results are demanded, Toyota needs team members who know their stuff.Â Â Todayâ€™s cars contain more than 3,000 parts and are basically computers on wheels.Â In fact, some cars have as many as 100 million lines of software code.Â You can fill a stack of letter-sized pages the height of a 50-story building with that many codes. In addition, automobiles have nearly 1,000 times more computing power than the system that guided Apollo astronauts to the moon.Â Itâ€™s true. Further, even more advanced technologies and electronics are being added to vehicles. Â And, since cars are becoming more complex, weâ€™re going to need good people that have the knowledge and the know-how to keep things in tip-top condition. This is all great news because as the auto industry continues to grow, more and more jobs will be available.Â In fact, over the next four years, the industry plans to add 150,000 new jobs.Â Thatâ€™s on top of the 8 million Americans who depend on the auto industry for their livelihoods. So, having the education and technical experience is critical in the auto business, or almost any field you choose.Â At Toyota, we feel so strongly about this that weâ€™ve directly supported college automotive programs through our Technician Training and Education Network (T-TEN) for a quarter century.Â Weâ€™ve also joined with other automakers to support high school-level programs for more than a decade through Automotive Youth Educational Systems (AYES). CTE programs also offer another important opportunity for you to fulfill your dreams. They help you determine how strong your passion is for a given subject. Yes, itâ€™s important to have knowledge and training, but itâ€™s equally important to love what you do.Â It makes a difference in your outlook, your attitude and your results.Â Generally, passionate, enthusiastic people are more successful in work and life. Thatâ€™s why companies today are seeking associates who have three key ingredients:Â Knowledge, training and passion.Â Youâ€™ll find individuals who posses these traits at CTE.Â So, if youâ€™re not involved in a CTE program–get involved and do it now!Â Good luck and all the best in the future! 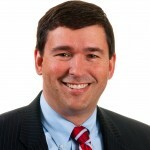 Stephen L. Pruitt, Ph.D. was named Vice President of Content, Research and Development at Achieve in November of 2010. He leads the development of the Next Generation Science Standards. While more than 45 states are working diligently to implement the Common Core State Standards in mathematics and English language arts/literacy, there is another state-led effort underway to develop common science standards, or the Next Generation Science Standards (NGSS). As manager of this initiative, Achieve is excited to have the opportunity to share the details of this work and engage directly with you, the Career Technical Education (CTE) community. CTE is a major stakeholder and partner in the effort to develop science standards for todayâ€™s students and tomorrowâ€™s workforce. The NGSS will be K-12 science standards created through a collaborative, state-led process. To date, 26 Lead Partner States are providing leadership to the writing teams and to other states as they consider adoption of the NGSS. The new standards are being drafted based on the Framework for K-12 Science Education, developed by the National Research Council, the staffing arm of the National Academy of Sciences. The vision laid out in the Framework identifies what students need to know and be able to do in order to be a functional citizen, which includes being scientifically literate and an effective member of the United States workforce. â€¢ Disciplinary core ideas (those ideas with broad importance across multiple sciences or engineering disciplines or key organizing principles of a single discipline). The NGSS will bring this vision to life â€“ and to K-12 classrooms. What Do the Next Generation Science Standards Mean for CTE? We believe the NGSS will offer excellent opportunities for stronger alignment between science and CTE instruction. While the NGSS wonâ€™t replace existing CTE courses or pathways (e.g., engineering, agriculture/life sciences), the standards can enhance CTE coursework in meaningful ways. Specifically, the NGSS can and should serve as a bridge between what science educators are teaching in their classrooms (the content) and what CTE educators are teaching in their classrooms (the applications). This comes through most prominently in how the NGSS treat engineering, technology, and applications of science. Engineering is included in NGSS as a disciplinary core idea and as a practice (or application) that cuts across the multiple disciplines within science education. In other words, the engineering expectations are not organized in a way that suggests the development of a new stand-alone course is necessary, but rather that shows how scientific knowledge and engineering applications can intersect across the disciplines. For those schools already offering engineering courses or pathways, the NGSS can help enrich those courses, as well as provide opportunities for aligning that engineering coursework with lessons being taught in traditional science courses. Perhaps most importantly, we see the NGSS serving as a catalyst for new conversations between science and CTE educators about how their courses can be better integrated to reflect the NGSS and relevant CTE expectations. The CTE community is undoubtedly a valued partner in the NGSS development. Given your expertise and unique perspective on the applications of science, Achieve and the states have an ongoing commitment to ensure the CTE community is engaged throughout the entire development process. For example, CTE educators are on the writing teams and all 26 Lead State Partners have been strongly encouraged to include CTE directors, administrators, and educators on their state review teams. In addition, Achieve has engaged the National Association of State Directors of Career Technical Education Consortium (NASDCTEc) as a critical partner in the review process as public drafts become available, and we will continue to find ways to partner throughout the development (and eventual implementation) of the NGSS. Two drafts of the NGSS will be released for public review and feedback, first in the spring of 2012 and then again in the summer/fall of 2012, before the final NGSS are released in winter 2012-13. Sign up for updates â€“ including the windows for public feedback â€“ at www.nextgenscience.org. Weâ€™d love your feedback! The Friends of CTE Guest Blog Series provides advocates â€“ from business and industry, to researchers and organizations â€“ an opportunity to articulate their support for Career Technical Education. The monthly series features a guest blogger who provides their perspective on and experience with CTE as it relates to policy, the economy and education. 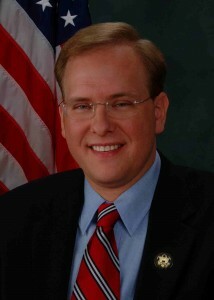 Congressman Jim Langevin (D-RI) was elected to the United States House of Representatives in 2000. Among other responsibilities, Langevin serves as co-chair of the Congressional Career and Technical Education Caucus. As I travel around Rhode Island to speak with educators, businesses, and others in the community about how to strengthen our economy and create good jobs, one common theme continues to surface: Businesses canâ€™t fill existing vacancies because those looking for work donâ€™t have the skills needed to compete for the jobs of the 21st century. President Obama also raised the issue of the â€˜skills gapâ€™ in his recent State of the Union address. But what exactly are we doing to close it? Recent reports published by Georgetown Universityâ€™s Center on Education and the WorkforceÂ and Harvard Universityâ€™s Pathways to Prosperity ProjectÂ highlight our failure in the education system to engage all of our students.Â They also propose solutions to better prepare students, which include a strong emphasis on Career Technical Education (CTE). To engage and prepare our students, we must strengthen and fully fund our CTE system.Â I also believe all young Americans should be equipped with college and career readiness skills. I do not believe they are limited to a college OR career choice; rather, our skills gap requires that our students are ready to pursue both postsecondary AND career opportunities. The Education for Tomorrowâ€™s Jobs Act, which I sponsored with Representative G.T. Thompson, my fellow co-chair of the bipartisan Congressional Career and Technical Education Caucus, addresses our nationâ€™s education and workforce challenges by combining rigorous college preparation with workplace experience for high school students.Â Known as â€œLinked Learningâ€, this measure is another tool to ensure that our students are prepared for a wide range of high-growth, high-skilled and high-wage occupations, such as engineering, arts and media, cybersecurity, and health. In order to strengthen the pipeline for these jobs, we need to unite all of our schools, businesses, universities and other invested partners in a common goal.Â Under this legislation, teachers and school administrators would collaborate on interdisciplinary education and pursue partnerships with local businesses and community organizations to identify workforce demands and internship opportunities.Â We should look to businesses like Toyota and IBM that are proactive in training students with needed skills that include problem solving, critical thinking, and teamwork. The best investment we as a country can make is in our education system.Â Our students are the problem solvers, the innovators and the job creators of tomorrow.Â If we engage our students and make the coursework relevant to their future, we reduce dropout rates, increase graduation rates and prepare our students for postsecondary pursuits. Failing to do so hurts our countryâ€™s innovative edge and leaves us unable to fill the jobs of the 21st Century. Friends of CTE Guest Blog Series: I LOVE MY JOB! 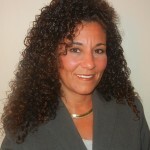 Deanna Lewis serves as the Director for Career & Certification Services with the Home Builders Institute (HBI). 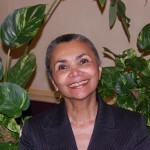 Prior to joining HBIâ€™s family in 2001, Lewisâ€™ experiences included teaching at the elementary level where she developed a customized curriculum for transitional first grade students; managing the tri-state (Pennsylvania, New Jersey & Delaware) satellite office of the New York Times; and conducting test score interpretation as a consultant for the College Board. During a recent visit, my plumber said, â€œI love my job!â€ as he was patiently answering my hundred and one questions without slowing down on the task at hand (he was getting paid by the hour). He said this before he gave me the bill. Iâ€™m sure he was enjoying his job even more as I wrote the check. His comment, â€œI love my job,â€ left an impression on me. I began to wonder what happened to the passion tradesmen and women used to have for their jobs. That sense of excitement about learning plumbing systems or the concept that a carpenterâ€™s work is his or her art. Is that passion still out there? Will the Workforce be Ready? It is predicted that by 2014 careers in the Architecture and Construction Career Cluster will start to resume employment levels like those seen in 2007 and will exceed 2007 levels in 2015. Will the industry have a workforce prepared to meet the demands? Carpenters are listed as one of the 30 occupations with the largest employment growth from 2008-18. The profession is categorized as requiring long-term on-the-job training. Are there a sufficient number of trainees to fill the future demand? Construction offers opportunities at every level. It is an industry that still has career opportunities following high school. That does not imply that training stops at that point. Instead, it indicates there are still on-the-job training opportunities available. There are also certificate and two-year programs offered at technical schools and community colleges.Â For management-level positions, many companies will require a four-year degree. That beingÂ said, it is predicted that overall, 34 percent of the jobs in the Architecture and Construction Career Clusterâ„¢ will require at least some postsecondary education and training by 2018. Now is the time to engage youth. Inform them about the educational requirements to be successful in the industry. 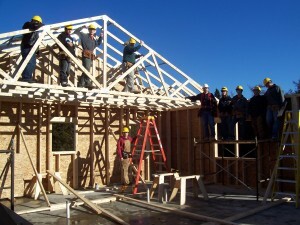 HBI currently offers a first step to professionalism through its student certification program, which sets the stage for stackable credentials.Â The National Association of State Directors of Career Technical Education Consortium (NASDCTEc) also provides information about the Architecture and Construction Career Clusterâ„¢ at http://www.careertech.org/career-clusters/landing-pages/architecture.html. Career Technical Education (CTE) has programs in nearly 1,300 public high schools and 1,700 two-year-colleges. HBI is a strong supporter of CTE because it meets our membersâ€™ needs and helps students, of all ages, become college and career ready so they have a lifetime of success. CTE programs do an excellent job preparing students for the industry opportunities identified above, but it is clear that instructors go far beyond just preparing students to work. experience with CTE as it relates to policy, the economy and education. 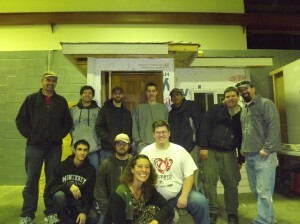 Posted in Uncategorized | Comments Off on Friends of CTE Guest Blog Series: I LOVE MY JOB!